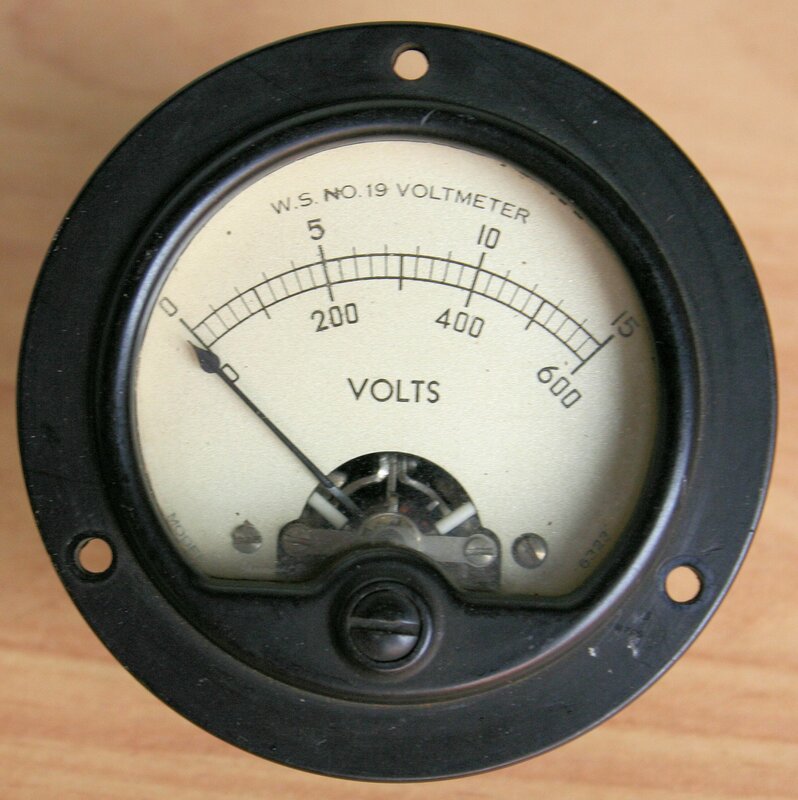 While working on the restore of various WS19s, one notices the various types of meters that have been used. Not a surprise if one realizes that so many factories built these sets and the demand for parts must have been enormous. 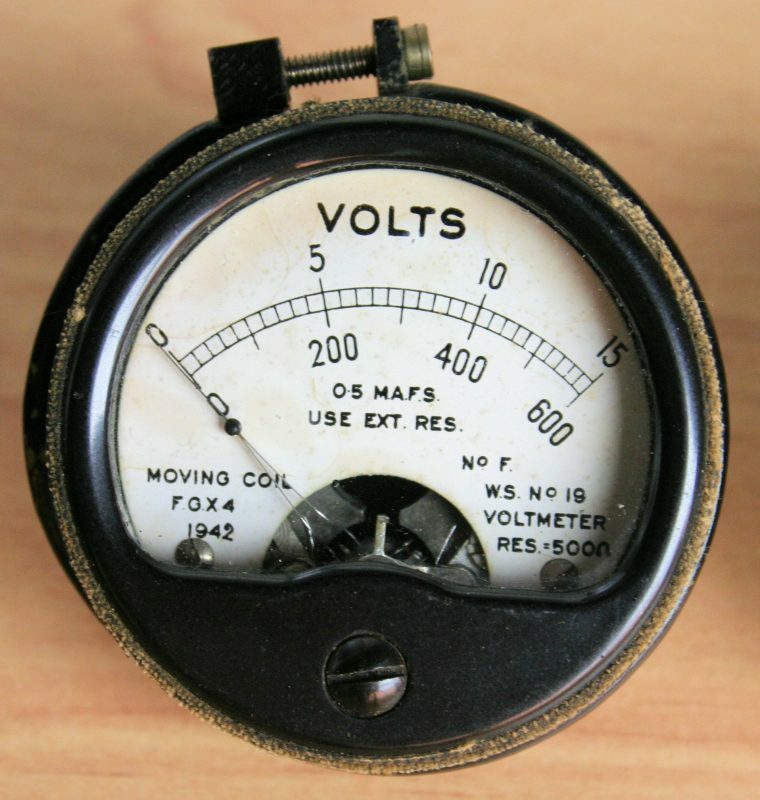 Meters were often not built by the radio factories but by specialized companies, like Simpson, Weston, Triplett and many more. Supplemental information on meters and indications was kindly supplied by Chris Suslowicz, G8KGS. For those of you who need physical sizes of the meters, I made a PDF-file, to download. You’re welcome. The scale reads 15 Volt and 600 volt. 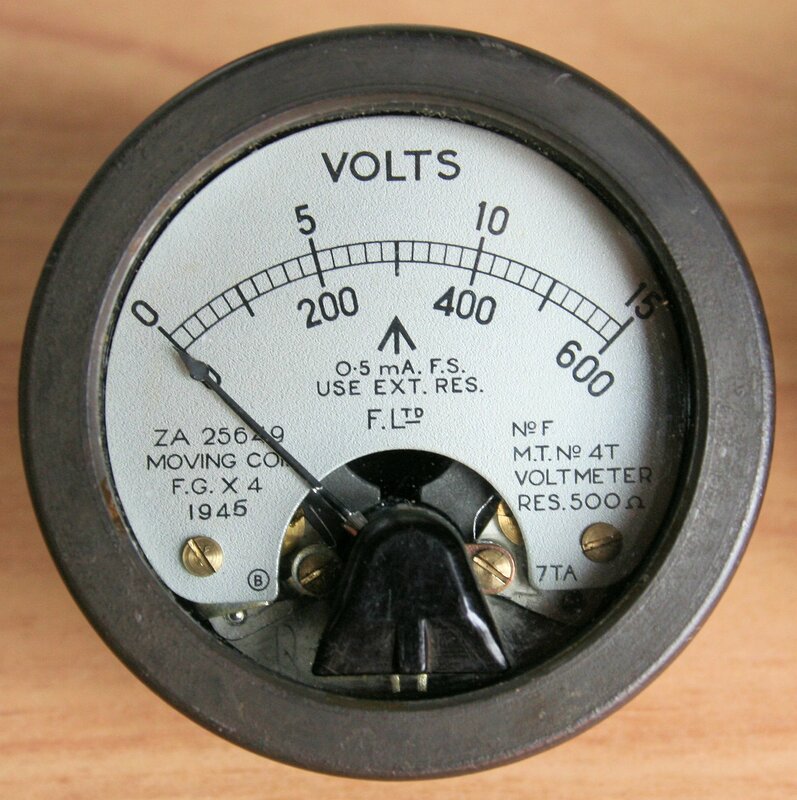 This type of meter is seen in British builds. It was attached to the front with a clamping ring. A sort of seal can be seen attached to the bezel. 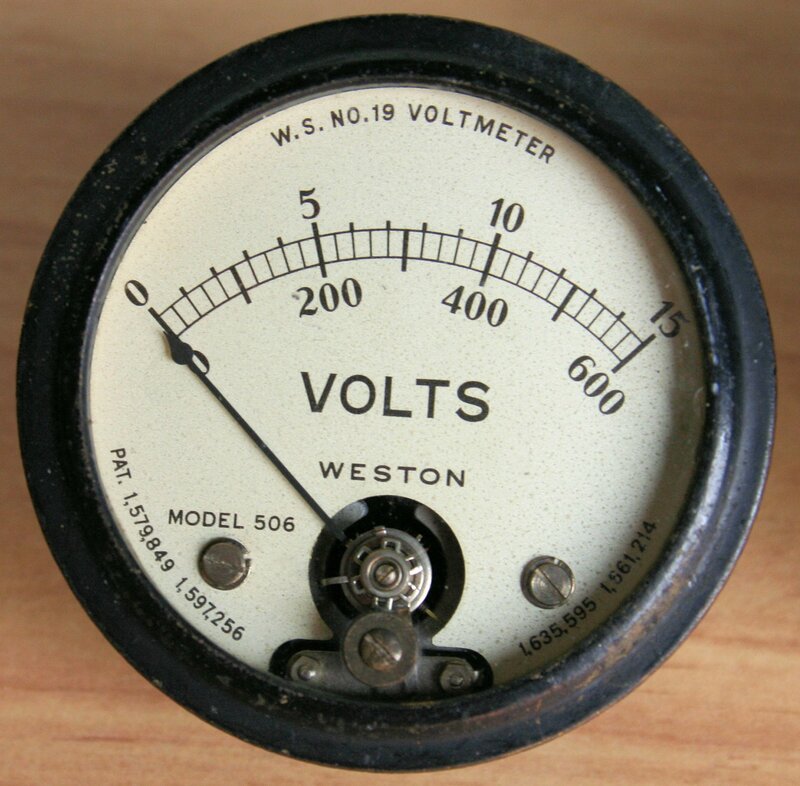 This meter was made by Weston. It was mounted using a clamping ring. This model carries no further information, except for the factory logo on the back: Simpson. It was the common type on most Canadian built WS19s. 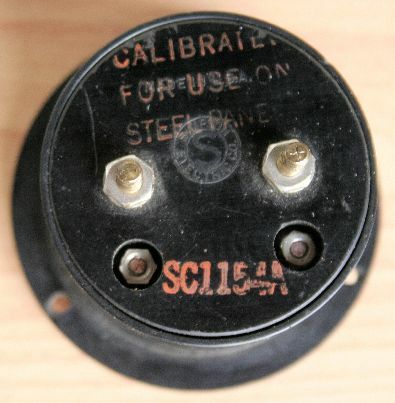 The stamp says: “CALIBRATED FOR USE ON STEEL PANEL”. And the type number: SC1154A. 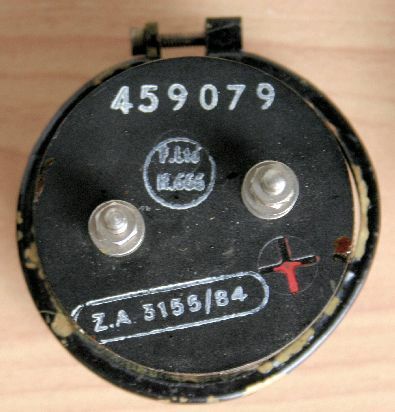 This is a very good looking WS 62 Voltmeter. The silver scale reads 15 Volt and 600 volt and shows the Broad Arrow. It is mounted by means of a clamping ring. F.Ltd – the factory that built it: Ferranti Ltd.
M.T. 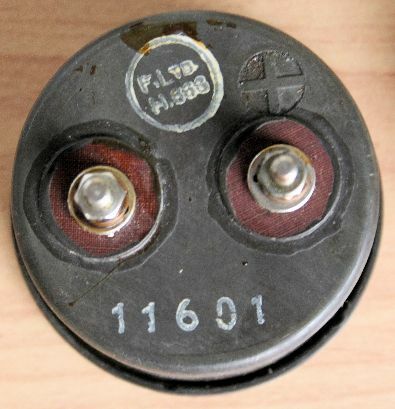 No.4T – not a clue – Magnet Type? “B.S. 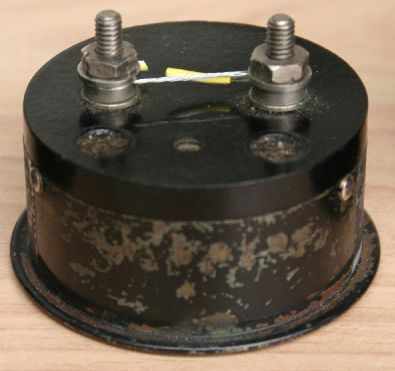 89 was the British Standard for “Indicating Ammeters, Voltmeters, etc.” and the accuracy grades (marked on the scale) during WW2 were “S.S” for Sub-Standard (i.e. calibrated directly against a “standard” ammeter and used for laboratory work), “F.G.” for First Grade, and “S.G.” for Second Grade. Post-WW2 the names changed, and “SS” (Sub-Standard) became “Pr” (Precision), while “F.G.” became “In” (Industrial).